What is the Strategic Leadership Forum? Each year FRSA convenes a Strategic Leadership Forum (SLF), (previously known as a Senior Executive Forum [SEF]) where senior representatives from children, family, communities and relationship support organisations from across Australia meet. The two day event brings organisations together from across the sector that are responsible for the delivery of programs that assist Australian families. 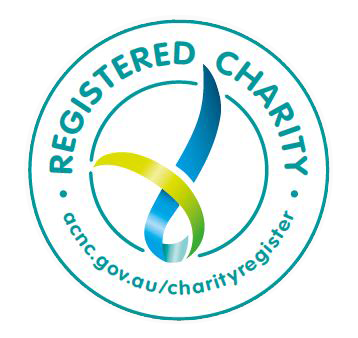 These organisations work closely with vulnerable clients and provide them with important mental health, child protection, family violence, drug and alcohol support services. These services are deeply embedded within the community service delivery network with Senators and Members of Parliament (Minsters, Shadow Ministers and backbenchers) to discuss current policy priorities for our sector. The organisations receive funding through a range of sources, but at the Commonwealth Government level they receive funding from the Department of Social Services and the Attorney-General’s Department. The SLF also includes a Parliamentary Briefing ‘Day’ as part of the two day program. The purpose of the Parliamentary Briefing Day is to provide FRSA SLF delegates with an opportunity to meet with Senator and Members of Parliament – as part of the FRSA network, to discuss current policy priorities for the sector. The SLF provides Executives with an opportunity to discuss some of the key pressures on children, families and communities, with the aim of delivering better outcomes and opportunities for people Australia wide. The FRSA Strategic Leadership Forum (SLF) ‘Reaching our full potential together’ 2017 held 28-29 March at Rydges Capital Hill and Parliament House, Canberra provided an opportunity for FRSA, senior representatives and emerging leaders from organisations within the family and relationship sector to come together and engage on the latest issues associated with commissioning of services and service delivery design. The two day event included several workshops, discussions, a parliamentary breakfast at Parliament House and the launch of an FRSA commissioned publication Strengthening prevention and early intervention services for families into the future. Day 1 focused predominantly on current issues around the Commissioning for Outcomes. We had a number of strong presentations to set the tone of the day delivered by Ms Kerry Markoulli, Assistant Secretary of Resource Management, Department of Finance, Dr John Butcher, Adjunct Research Fellow with the Australia and New Zealand School of Government; Mr Phil Brown, Branch Manager, Policy Strategy, Department of Social Services; Mr Murray Kimber, Branch Manager, Policy Strategy, Department of Social Services and an afternoon of facilitated discussion by Ms Cheryl Kernot from the Centre for Social Impact. The discussion traversed the role of collaboration/competition in our sector with key themes emerging around where and how collaboration works; alternatives to collaboration; the place for competition in our sector; what are the best ways to foster innovation, inclusion of smaller and remote organisation. Day 2 started with the Parliamentary Breakfast with FRSA Board Chair launching the FRSA Research Report, Strengthening prevention and early intervention services for families into the future. The Parliamentary Breakfast featured a number of supportive and interested Parliamentarians. FRSA featured Ms Nicolle Flint who represented Senator Zed Seselja, Assistant Minister for Family Services; Senator Louise Pratt, Shadow Minister for Families and Communities; and, Greens’ Senator Rachel Siewert who took time out from the very busy and active morning schedule to speak to the sector. The FRSA Report launched at the Breakfast investigates the current and future potential for our sector to take a greater prevention and early intervention approach in our service delivery to ameliorate multiple risk factors and enhance multiple protective factors—toward improving the wellbeing of the children, families and communities we serve. As providers of family and relationship services we are uniquely positioned in that we have access and insight into the family at various points across the lifecourse. Without the ongoing financial support of FRSA supporters and Members, this research project would not have been possible. Other acknowledgements include thanks to Professor John Toumbourou from Deakin University as well as members of the FRSA Board especially through the FRSA Research Advisory Committee, which had primary carriage of the activity, Dr Deb Hartman, Ms Karen Field and former Board Director Dr Ricki Jeffery. I also acknowledge the work of FRSA’s Senior Project Officer, Dr Adam Heaton for his role in seeing this project through. To wrap up Day 2, delegates were joined by facilitator, Dee Brooks to begin unpacking the report, review the range of Recommendations and begin to set objectives moving forward. Members of FRSA can access the presentation slides and any transcripts by clicking here. FRSA SEF and Parliamentary Briefing Day was held at Australian Parliament House and the National Portrait Gallery on 24-25 February 2016. The theme, Embracing Diversity – Securing Futures 2016 provided an opportunity for FRSA and senior representative from organisations within the family and relationship sector, across Australia to meet with 36 Ministers and Senators (or their advisors) to share information regarding recent and future issues facing service providers and clients in the sector. At Parliament House, the Minister for Social Services, The Hon Christian Porter, kicked off the event with a Ministerial address to highlight the directions of Government programmes as part of the ongoing collaboration between DSS and FRSA. FRSA has commissioned a research report with Professor John Toumbourou at Deakin University to produce, titled Strengthening prevention and early intervention services for families into the future. With the completed report to be available, August 2016. A highlight from the two day event, shared interest for a number of Federal Politicians to establish a Family and Relationship Services Parliamentary Friendship Group. This group will provide an opportunity for Parliamentarians to keep abreast of the live and pertinent issues in the family and relationship sector and the related impacts of children, families and communities. There was plenty of expressed interest with around 20 Senators and/or MPs from our meetings in either Championing the Group or being part of the group. FRSA will pick this up and further look into the establishment of a Parliamentary Friendship Group after the 2016 Election. FRSA SEF Families, Worth the Investment 25-26 March 2015 at the Hyatt Hotel in Canberra. This SEF examined the changing landscape in Australian Social Services and how Family and Relationship support services are an investment in Australia’s most vulnerable people with widespread benefits to Australia as a whole. With increasing financial pressure from the Federal Government in terms of reduced expenditure on children, families and community based programmes, FRSA felt it was important to restate the key role that our services play in supporting children, families and communities and that families are indeed a worthwhile investment. Minister for Social Services, the Hon. Scott Morrison addressed SEF and Shadow Parliamentary Secretary for Families and Payments, Senator Carol Brown also addressed forum delegates during the breakfast function on day 1 of the Forum. SEF 2015 delivered a nationally and internationally renowned list of professionals and leaders within the children, families and communities and family law sectors, to challenge conventional processes, identify developing opportunities and provide a contemporary context within which to discuss some of the key strategic issues for the network. The 2014 FRSA Senior Executives’ Forum was held at the Hyatt Hotel in Canberra on 18‑19 March 2014. The event titled Service delivery for the future: turning the curve provided an opportunity for Senior Executives to come together and engage on the latest issues associated with service delivery, policy and funding. Two presentations, two workshops and the Parliamentary Briefing day were conducted. Presentations covered opportunities and challenges for new approaches based on lived experience and customer feedback; and global trends, local solutions and leading innovation and investment for public good. Overall, the 185 delegates in attendance considered the Forum to be a solid success. FRSA also used the Forum as an opportunity to consult members on priorities for the year ahead. The 2013 FRSA Senior Executives’ Forum 2013 was held at the National Portrait Gallery in Canberra on 13-14 March. It provided an opportunity for service providers and funding bodies to come together to discuss the delivery of Family Support Program services, including any areas of uncertainty or challenge. In 2013 FRSA released the ‘Value for Everyone’ report to help MPs and policy makers understand the social and economic benefits gained from investing in family support services. The delegates discussed with The Hon Kevin Andrews, the importance of maintaining funding to vital family support services despite the tight fiscal environment. FRSA also used the Forum as an opportunity to consult members on priorities for the year ahead. The Minister Andrews also addressed the FRSA SEF, transcript of his presentation can be found here. The Forum received some excellent feedback. 86% of attendees rated the event as either ‘Above Average’ or ‘Excellent’, an improvement of 10% or more on both the 2011 and 2012 Senior Executives’ Forum evaluation results. Jeff McMullen’s keynote address was very well received with delegates describing his presentation as ‘inspirational’ and ‘thought provoking’. The overall planning and organisation of the event was highlighted as a key strength through comments such as ‘a great logistical exercise’. FRSA SEF 2012 was held on 31 July–1 August 2012 at the CQ Functions Centre. Melbourne. It was in 2012 the decision was made to combine the SEF and Parliamentary Briefing Day (in a critical election year) to become a staple of the FRSA events calendar going forward. The 2011 FRSA Senior Executives’ Forum was held at the National Wine Centre in Adelaide on 9th August. The Forum provided an opportunity for Senior Executives, Departmental representatives and related peak networks to come together to discuss issues and projects within the sector. The Forum also featured a half-day workshop on developing Indigenous Action Plans as part of the Vulnerable & Disadvantaged Client Access Strategies required in new FSP contracts. FRSA also used the Forum as an opportunity to consult members on priorities for the year ahead. Discussion topics encompassed changes to program objectives, contract arrangements and reporting requirements, along with workforce issues and future directions in service models. The first FRSA Senior Executives Forum 2010; Proven, Possible, Probable: Shaping the Future of Family Services was held in Canberra on 23 – 24 March 2010. There were 110 participants, including Senior Executives from FRSA member organisations as well as representatives from the Australian Government’s Department of Families, Housing Community Services and Indigenous Affairs (FaHCSIA) and Attorney-General’s Department (AGD).